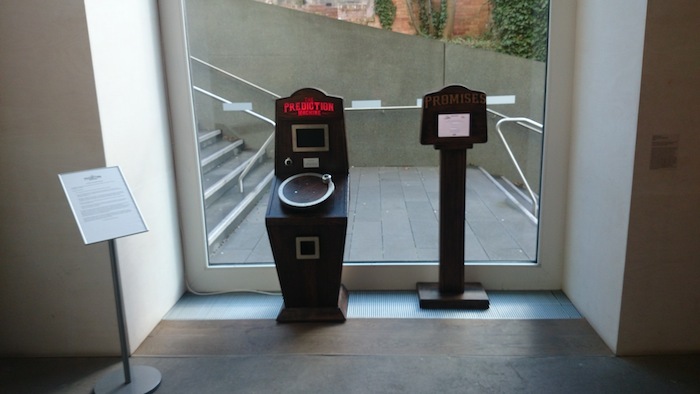 The Prediction Machine is now live at Nottingham Contemporary, there seems to be getting lots of people using it and good feedback. When myself or Noel (who is assisting the technical set up) have been in the gallery people have been waiting to use it and watching other people. 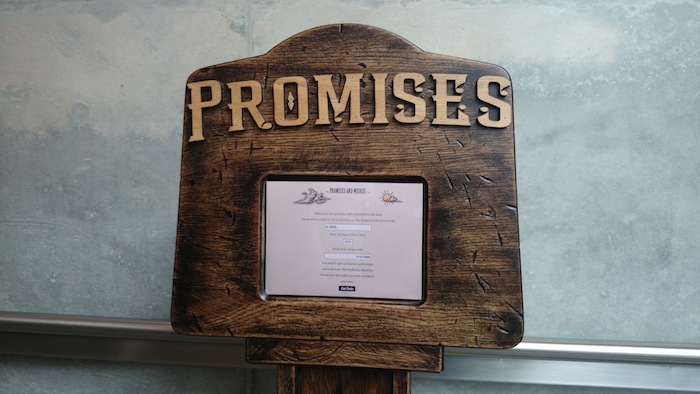 Thank you to all the visitors who have contributed their promises, wishes and predictions so far.